The most frequently asked question from nearly 90% of the aspiring online entrepreneurs and work-from-home enthusiasts is this: “Can I earn money online without a website or a blog”? So, what else do you actually need to work from home with just a computer to earn money online? 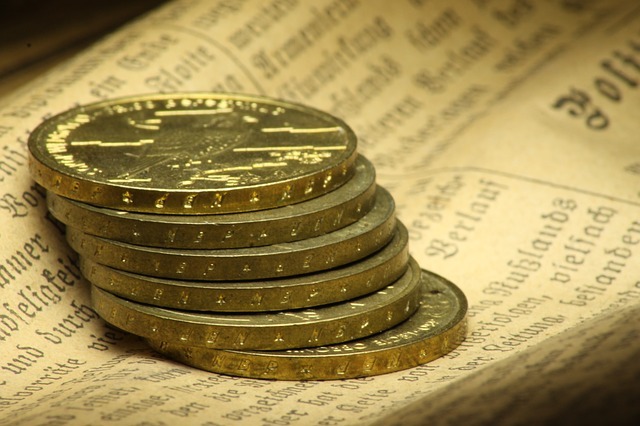 How exactly one can earn money online without a website or a blog? You can earn money online by becoming an affiliate marketer. There is big money left on the table in the affiliate marketing industry and anyone can grab his share. Affiliate marketing or the CPA method is free for all and it can provide you a full-time online business to earn money online. What is meant by CPA? Sales (CPS): Cost Per Sale type, pay affiliates per sale. Clicks (CPC): Cost per Click: These programs pay affiliates for each click on the affiliate link. Views or Impressions (CPM): Cost Per Million: When advertisers pay affiliates for the number of impressions that their affiliate link can generate. It is paid for every thousand impressions/views. Getting an online form filled by a visitor (CPL): Cost per Lead: Advertisers pay a fixed amount for every form that gets filled up by a visitor from to your promotional efforts. These might be sales leads or simply subscribers to an email list. Out of the four types mentioned above, which pays the highest amount? Most of the advertisers who want you to promote digital information products won’t insist on a website or a blog while selling physical products, advertisers like Amazon will insist on you to have a website at the time of affiliate signup. The Cost per lead is also attractive for earn money online. For every lead, you may receive $1 to $5 or maybe more. By lead, I mean an email address or a name and telephone number and or even the mailing address of the person filling out an online form. Which CPA Offers Should You Choose? Though you won’t find it difficult to locate CPA offers, the difficult task is the actual part of selecting them. Since, you don’t have a website or a blog to promote your affiliate offers, you need to select mostly products that need not require a full review because reviews need a platform to publish. You can select CPS or CPL or CPC offers or, all of them to earn money online. Where do you promote your affiliate links/banners to earn money online? And any other social media you have joined to earn money online. Who will give you the affiliate links and banners? As per the current trend, advertisers also provide pre-written twitter posts called tweets and Facebook posts, etc. All an affiliate needs to do is to copy and paste the promotional material in the appropriate medium mentioned above to earn money online. Where do you post banner ads to earn money online? There are free banner exchange websites that you can join free and post your affiliate banner and view others’ banners and they in turn view yours. If you have earned some money initially through free advertising efforts, you can think of paid advertising out of the earnings. I would advise you to do that since if you put something on the Internet from which you got something, it will help you financially in the long run. However, paid advertising like Google AdSense requires you to study it fully before putting your money in. Can you promote your CPA ads through Mobile Apps to earn money online? Sure, why not? Promote your CPA offers though mobile app you build or get it built is an innovative idea. It involves less money but can reach a large audience instantly. Well, that’s an overview of how the CPA works and how you can earn money online by promoting the CPA links without having an online presence of your own. There is more to CPA such as the list of worthwhile companies you can join and how to track your online promotion to generate more sales. There is a second tier marketing where you hire your own affiliates and earn a small percentage of the sales they generate. In this method, your affiliates earn more than you. I will get into them plus where to find your second tier sales agents in my next post. Blog Traffic – This is a topic that might have been written about a hundred times by 100 different bloggers but still, you keep reading them again and again as and when new and attractive titles make you click on them. It is because; you expect something new that you might not have known about hitherto. 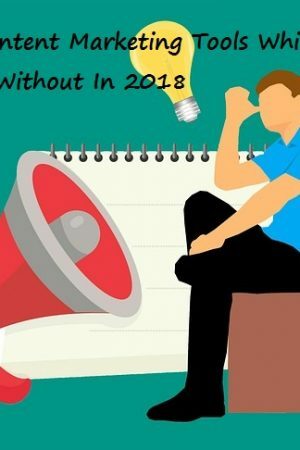 You are not alone, blogger; just about every serious blogger who wants his blog to be read by thousands of people irrespective of the quality of the content on his blog, doesn’t want to miss out reading about new ways to bring visitors to his blog. As a blogger with 12 years of experience, let me tell you one thing frankly. There have been no new ways to increase Blog Traffic since the last 6 years. 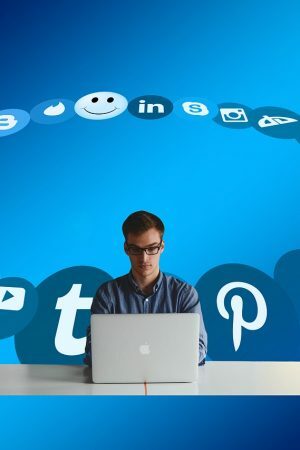 In fact, I would say some of the very effective ways of blog marketing have died/abandoned due to the increased popularity of social media, especially Facebook. For example, there were some very good loggers communities that were closed. One such community called, “My Blog Log” owned by the big fish Yahoo! was closed in spite of high usage by millions of bloggers. Well, still bloggers with long-standing repute continue to stay afloat in the blogosphere because they still practice the old method of blogging that doesn’t require much marketing effort. Shall we peruse them? Raising Blog Traffic Tips 1: The frequency of blog posting. Let me ask you one thing. You are a person who is not well organized. You run your home shabbily. You keep going to shops to buy groceries and essential almost daily. Suppose there are two outlets nearby your home to fulfill your needs. One is a big shop and the other one is run by a petty peasant who is very punctual in the opening and closing of his shop and never declare holidays and the bigger shop is just the opposite. Which will be your favorite of the two shops? Similarly, in order to keep your old and new readers coming to your blog, you must update your blog very regularly. You need not have to update it on a daily basis but maintain your schedule and stick to your commitment. If you have decided to blog three times a week on such and such days, don’t fail. Do it for the first 12 months and see the result. Your blog traffic increase for sure. See the result when you deliberately break your schedule. You will then be more regular than the SUN and your blog traffic will ease. New aspiring bloggers, as well as veterans, should know your name in the blogosphere. This is possible only by participating in web communities such as Quora or discussion forums such as Digital Point Forum. Quora is a high-end question and answer platform where people ask their doubts on myriad subjects and experts answer them sincerely which will bring more blog traffic. When you start answering the question on niches of your expertise, new questioners will post questions and prod you to answer. As you keep answering sincerely, Quora will indicate how many questions you have answered on your niche and how many of them have been ‘upvoted’ against your profile name. Over a period of time, when you have gained the number of views, whatever you say on your expert topic will be taken seriously. When your name appears on other web communities and blog comments, readers will read your input because they respect your knowledge on your chosen topic. And they will try to peep in to your blog there by your blog traffic will increase tremendously. 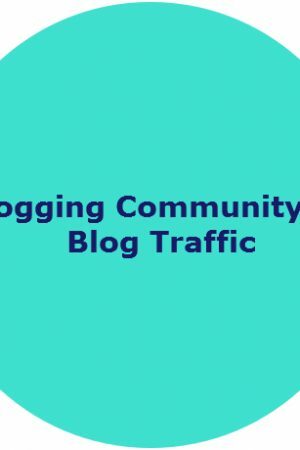 As of composing this blog post, there are about 20 busy “communities for bloggers” to participate; use them as a platform to promote your blog posts to bring more blog traffic. Similar to web/blog communities, there are respected discussion forums on the Internet that every blogger, online entrepreneur, and webmaster should signup and contribute. Forums are in hundreds, some are general and many are on a specific subject such as blogging, money making, makeup and fashion, health, politics, and literature. Every one of those communities are the treasure troove for blog traffic to your site. The main idea of participating in a forum is to introduce yourself first and read all the threads in the forum for a week or so and then start posting your questions and answer others’ questions very sincerely. Do not just answer something irrelevant or meaningless just to get your name in. Slowly, you will gain new readers and they will become loyal to your inputs. You can also be loyal to the others’ answers and start befriending them, This is the first goal for you ie. get known and know others. Leave nice comments about others’ blogs and that action of yours would be reciprocated. This helps everyone. When this happens, your blog URL which is your signature that appears at the foot of all your posts in the forum will get clicks which is the best way to bring blog traffic. Persist this method and in a year, your blog traffic would have skyrocketed. First, understand how readers land on your blog. You cannot send a personal invitation to each and everyone-right? You let the search engine do this work for you. And how will you tell the search engine what is on your blog? It is done by way of inserting the right keywords in your blog content that gets picked up by the search engines as and when the same keywords are used by the users to key in the search box of Google or Yahoo! Raising Blog Traffic Tips 4: Are you beginning to understand how the Internet works basically? This is a big topic for all internet marketers not only just focusing blog traffic and you will become a professional only by experience. Raising Blog Traffic Tips 4: Using the Blog Traffic Analytic metrics. 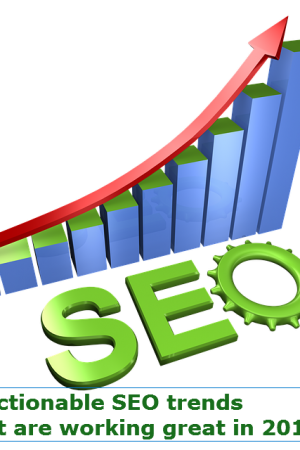 All the above steps would fetch results provided you keep monitoring your blog traffic using the correct web tools as such as Google Analytics, the most trustworthy software. The learning curve is a bit steep at the beginning but once you are used to it, you will start tweaking your blog content, usage of keywords so as to bring more readers to your blog. Blogging is no longer a mere online diary. It is a business for individuals and also a business tool for brands for which blog traffic is the soul. If you want to make your blog stand out against millions of blogs, you must keep bringing new readers and keep the existing loyal readers happy by providing content that will solve their problems. There are several ways of promoting your blog like Signature marketing. Over the years, I have put in back bending hours to learn and implement every other blog promotion technique that I came across and I continue to learn at a frenetic speed. Visit forums and comment actively to help others and help yourself. Put blog URL on your visiting card, car stickers etc. Shall we go through what is called as ‘Signature Marketing’.’? When corresponding with people via traditional mail you always include a signature, don’t you? On the internet, since you do not have a letterhead that is embedded with your contact information, your contact details can be included in your email as a signature. Each email you send can include a proper email signature that will look professional and thus adds credibility to your business. A signature block is a block of text and small images (icons and logos) that are automatically appended to the bottom of an e-mail message or forum post. It is common practice for a signature block to consist of one or more lines containing some brief information about the author of the message. What does a ‘Signature’ contain? Type out your website/blog URL as your signature in the empty text box. Scroll further down the page until you see the Save Changes button. Now that you have a signature set up you should test that it is working and looking the way you wanted it to. Do you notice your signature was automatically inserted? Now each email will contain the information on how to contact you when you are sending Gmail. It is free advertising. 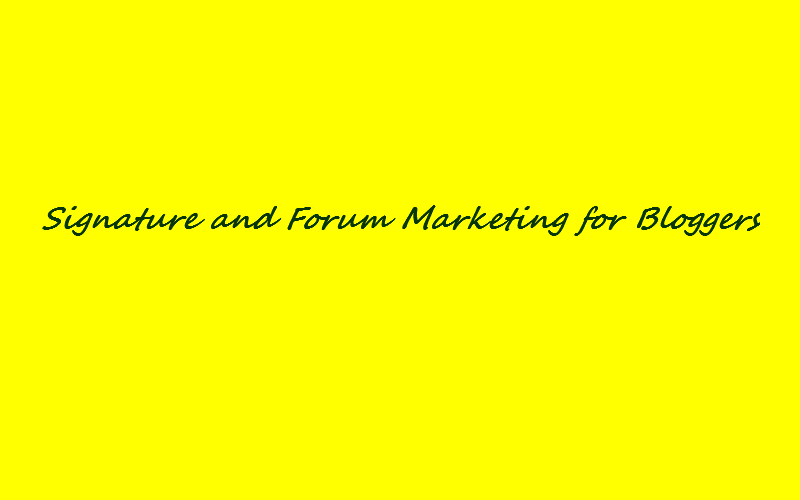 I am continuing with signature marketing using forums. Your signature can be very effectively used in forums too where you are sure to get clicks on your signature. I know it for sure because; I never bypass an option to include my signature. It was helpful for me in learning about thousands of websites on myriad subjects. It also helped me getting wonderful online friends over the years. An Internet forum, or message board, is an online discussion site. From a technological standpoint, forums or boards are web applications managing user-generated content. Forums are great avenues for driving traffic to your blogs. People participating in an Internet forum can build bonds with each other. An interest group will easily form around a topic’s discussion, subjects dealt with in or around sections in the forum. Forum users are generally net savvy and open to making online purchases. Many forum users are also respected experts and bloggers in the specific topics covered by the forum. When you sign up for a forum, you will be able to edit your profile. In your profile, you can add your signature and give your website URLs. Just about every member of the forum will see and click on your signature provided you actively participate in the forums. It is also a great place to learn ways to monetize your blog. Savvy internet marketers know that forums can be an ideal way of building a reputation, establishing an expert status, and driving traffic to your web site. When you sign up in a forum of your interest, remember these points. * Respond to people’s questions. * And build your own profile there. 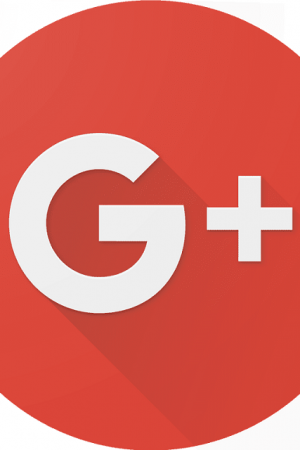 Search engines, like Google, often crawl popular forums and index posts. That means your posts will appear in the search engines, another extremely important reason you want to be as professional as possible when you chat in forums. When you first join a forum, read for a few days to get a feel of how things work. You will come to know the most popular members and whose opinions seem to be the most trusted. Once you’ve accustomed yourself to the forum etiquettes, start posting. Drive people to sites that might help them or answer their questions before pointing to your blog posts. Establish yourself as a person ready to help out. Don’t shout; don’t get angry. Forums are vulnerable places for your emotions to take the better of you. Not all forums are worth your time. Successful forum marketing means finding the right community for your business. Some forums even prevent new users from adding their signature before posting a certain number of posts. Remember these points while participating in a forum. Are users allowed to place links in their posts? Are users allowed to promote their own businesses? Are users allowed to post commercial messages in their signatures? Are users allowed to contact other members for commercial purposes? What restrictions are placed on new users? What special privileges are given to veteran users? Your user name and avatar are the first things other users will notice about you. Pick a user name that is easy to remember and pronounce. Using your real name might be appropriate, especially if your name is closely identified with your brand. Avatars are small pictures attached to all your posts. A good head shot of yourself or cute pictures of your kids or pets make the best avatars. Avoid using any pictures that might be considered offensive or controversial. A good profile can help you establish credibility on the forum. Provide a solid description of your expertise and experience. Feel free to add in a couple of personal tidbits to humanize your profile. Information like your hometown, your pet’s name, or your favorite sports team is good ways to break the ice. Your introductory post should include a brief description of your expertise and an explanation of why you joined the forum. Let the other users know that your main goal is to contribute to and learn from the community. Do not make any marketing pitches in your first post. If you try to sell anything in your first post you are very likely to get banned. Like email signature, Forum signatures are blocks of text or graphic that are attached to the end of all your posts. If you are in a forum that allows self-promotional signatures, make sure you take full advantage of this opportunity. Constantly remind yourself that your mission here is to build goodwill for your business. Stay away from charged up topics like politics or religion. Resist the urge to respond to criticism. If you have to answer, at least give yourself a couple of hours to cool off before responding. Use emoticons to indicate when you are being facetious. End discussions the moment you sense that it is getting contentious. Just say you agree to disagree and that you want to move on to other more pleasant topics. How to get paid to use your signature? Do you remember the word ‘favored URL’ mentioned earlier? Some members who don’t have their own websites can offer to put others’ website URLs in their signature and charge a monthly fee for that. The fee can be high if you have contributed more posts in the forum. For example, if you have posted about 1000 times in various threads, your signature will appear in 1000 posts. That’s a big visibility on the internet. Do you catch my point? Forums are difficult to maintain especially with spammers around. That’s why several forums meet an early death. It has been around for than 10 years. When majority of the people unfamiliar to blogging are asked to define what a blog is, their definition usually revolves around a personal journal or a social networking tool mostly used by young adults and teens which is entirely different from the Bloggers perspective. Anyone familiar with blogging knows that blogging is NOT just a personal journal, in fact, far from it. A blog is a powerful marketing tool which both businesses and individuals are using to establish brand recognition and connect more intimately with a super-targeted group of clients, consumers or customers. business exclusively through blogging, thereby saving thousands of dollars on traditional offline marketing costs such as newspaper ads, handbills, flyers, television ads, and giant hoardings. As of today, there are more than 600 million blogs online and I know that at least 100,000 new blogs are being created every day. And I also know that a minimum of 50,000 blogs are abandoned daily. Do you know that most bloggers do not persist beyond the three-month mark? Why it happens for most bloggers? * Blogging consistently is NOT easy. It certainly is easy to set up a BlogSpot account or even install WordPress, but unfortunately most blogs don’t go much farther than that. Many bloggers find that writing informative and original articles consistently is difficult, and they are right – it is difficult. However, most experienced bloggers will tell you that it takes a while to build up that elusive blogging rhythm – the one in which you easily weave together insightful and unique posts. * New blogs yield little to no financial return, initially. Many bloggers start blogging because they see big time bloggers like John Chow and Darren Rowse pulling thousands of dollars each month from AdSense and third party advertisements. These super bloggers make it look easy, but the fact remains, John Chow and Darren Rowse have been blogging for their heart out. I know them personally. They are genuinely interested in helping bloggers to earn money. However busy they are, they always replied to my questions. It is extremely rare for a blog to make money before its three-month mark. * Consistent web traffic takes time to build. Be patient. I’ll admit it’s hard to feel motivated to blog when you know not many people are reading your work. However, this early stage of blogging is arguably the most crucial. The first three months are the time to show everyone that despite not having tons of comments or a large number of RSS subscribers, you are writing interesting, original, and link-worthy articles. Many new “make money online” blogs have been popping every now and then. To my knowledge, “How to earn online” is the most taken up Niche by new bloggers mainly because they are led to believe that it is also one of the most searched phrases on the Internet. How many of those bloggers actually make money online and are passionate about it? John Chow didn’t start writing about how to make money online exclusively – he initially just used his blog to talk about his passions, only one of which was making that online dough. Most people would love to quit their day job and blog full-time. So, they start blogging but find that, like anything, it takes a considerable amount of time. Add that to their already busy lives and it is something that often gets put off and eventually abandoned. When anyone adds blogging to their busy lives, they must start practicing time management much more seriously. I find that it doesn’t take me much longer than 30 minutes to write a solid post. Can you dig out the earth to check whether the seeds you planted have started growing just three days after sowing the seed? Blogging takes months of hard work to see any noticeable benefits. My first AdSense check came only after 9 months. I respect bloggers who have been blogging for at least six months; it’s an indication of some dedication and seriousness. The longer you have been blogging, the more people will see you as an expert or authority on your blog topics. There is a lot of power in published work. Infinite patience of bloggers results in immediate results. Establishing authority through blogging is completely opposite to the old way of generating business. In the past, businesses marketing a product had to interrupt your activity to bring a product or service to your attention. For example, a TV commercial interrupts the show you are watching and may be perceived as an annoyance by us but the marketers assume (quite foolishly of course) that it is the only way to get their products to us. The Internet is the exact opposite of offline marketing techniques. For every online product and service, consumers are seeking out the business. When someone types in your product or service into Google, are you on the front page? It doesn’t matter whether you sell concrete or provide a freelance service; every type of business or service can benefit from engaging the endless supply of niche consumers that exist online. How do Bloggers can establish authority? Authority is not something that comes easily or quickly. However, it can take far less time to establish authority than by marketing through traditional media outlets such as television, radio, and newspaper. You are not likely to see commercials selling tooth paste and shampoos on the Internet. Those types of ads have no place on the Internet as every product that is for sale in the web has to be backed with testimonials. You can’t ask the advertisers to produce that man or woman who smiles immediately after swallowing head ache tablets-can we? In the web world, a smile is not a positive feedback; only words can convey it. Many bloggers are now starting blogs to simply “make money online,” but if you can delay the temptation for instant monetary gratification (e.g., plastering Adsense Ads on your site), you will establish credibility and long-term trust at a much faster rate. Remember, before you gain authority you must gain credibility. By sacrificing short-term profit, you will show your target audience that you are committed to the greater good of serving your audience instead of bombarding them with ads. Ultimately, to gain credibility, you must help people and not just advertise to them. Whatever niche you are in, take the time to become an authority. Start by building your community of followers and by implementing an intelligently conceived marketing plan. The barriers to entering the world of online business are extremely low, so more bloggers are hopping on board every day. Remember this, and do everything you can to implement your master plan for success! If you want to be a professional blogger looking to generate an online income but confused about which niche is highly profitable, then, you are reading the right information now. Creating News blog is the right way. A news blog is a good foundation to start with because you’ll never run out of content ideas. In addition, there is an abundance of material that makes your content research quicker. 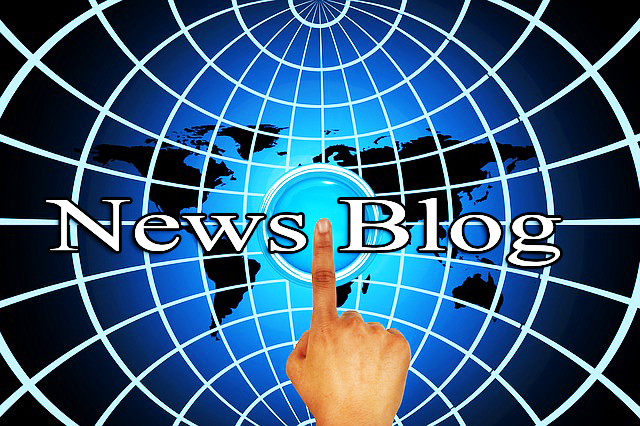 News blogs are fast-paced blogs which track, aggregate and disseminate current news on a set range of topics. Their main selling points are comprehensiveness and timeliness: a good news blog must cover the field thoroughly and speedily by pointing readers to the new information or developments.